Vietnam has over the past 25 years attracted nearly 211 billion USD from foreign investors for 14,500 projects, the Ministry of Planning and Investment (MPI) reported at a conference reviewing 25 years of FDI attraction in Hanoi on March 27. “Attracting foreign investment is a right policy as it has contributed greatly to realising many important socio-economic development goals in the country,” Prime Minister Nguyen Tan Dung said at the conference. MPI reported that by the end of February, 2013, nearly 100 billion USD of the registered 211 billion USD foreign investment were disbursed. The foreign financial source has by now accounted for 25 percent of total social investment in Vietnam and contributed to over 60 percent of the country’s total export value in 2012. Foreign invested enterprises gave 14.2 billion USD during 2001-2010 and nearly 3.7 billion USD in 2012 alone, to the State budget, the Ministry reported. Through foreign-invested projects, modern technology, equipment, expertise and management experience have been transferred into the country and direct and indirect jobs have been generated for 5 to 6 million workers. The foreign invested sector has through the years grown robustly to become an important component of the national economy, PM Dung said. The sector was encouraged to develop in a stable, long-term manner and on an equal footing with other economic sectors, thus joining in utilising the country’s internal strength and comparative advantages to make economic restructuring move actively, Dung stressed. “ Vietnam has been increasingly favoured by foreign investors and businesses,” he noted. However, the foreign invested sector has exposed defects needing uniform and overall solutions, the Government leader said. He referred to the significant imbalance in foreign investment injected in various sectors, slow investment disbursement, and low content of high technology and new technology in invested projects. 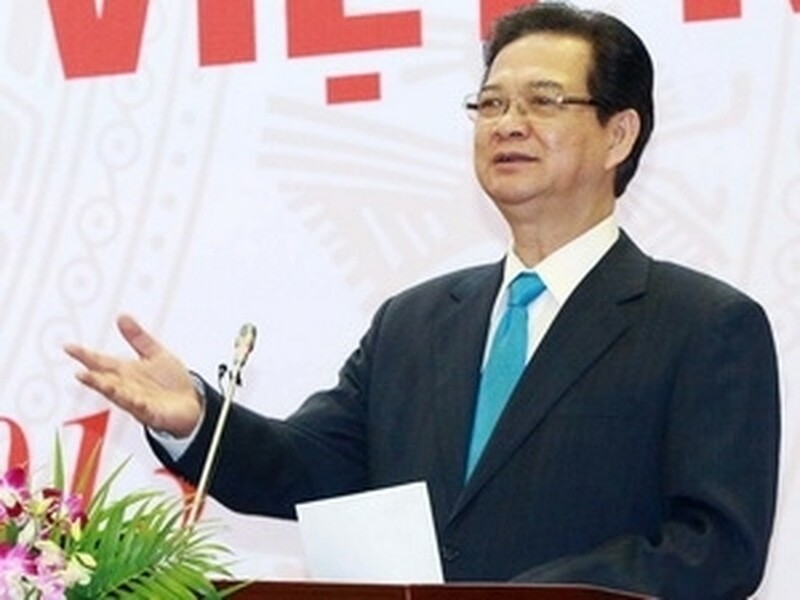 To address these problems, “The Vietnamese Party, State and Government continue improving drastically the country’s investment environment to draw in more foreign investment and use the capital source efficiently,” Dung stated. He pledged that market mechanism will continuously be perfected, administrative procedures as well as financial and banking systems reformed, and human resources training and socio-economic infrastructure improved. He asked the ministries, sectors and localities to join by adopting generous incentives for large-scale socio-economic infrastructure projects, which are able to produce enormous, positive impacts on the country’s socio-economic growth, and taking strong moves to invite foreign investors to projects applying the Public-Private Partnership form. The ministries, sectors and localities are instructed to supplement regulations on hi-tech business criterion, mechanisms to develop the supporting industry and capital and financial markets, and environmental protection standards. Foreign investors are encouraged to work with local universities and colleges to train high-quality workforce for the nation. Approved socio-economic infrastructure planning schemes will be made public to enable foreign investors to have wider access to planning information to serve their project establishment, PM Dung said. Future investment promotion activities need to be coordinated on a national scale to prevent unhealthy competition among localities, he requested. MPI affirmed that increasing the quality, not the quantity, of foreign investment will be a prevailing trend in future foreign investment promotion.